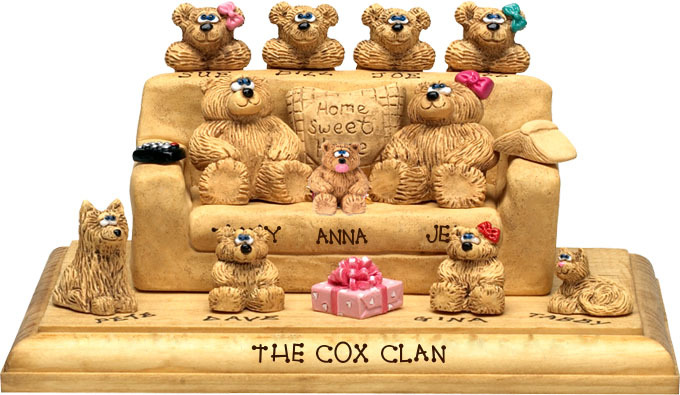 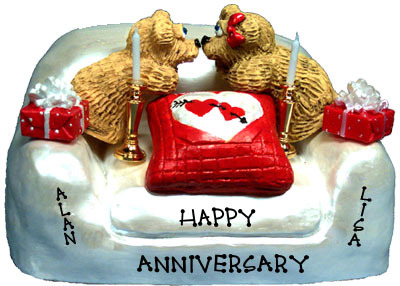 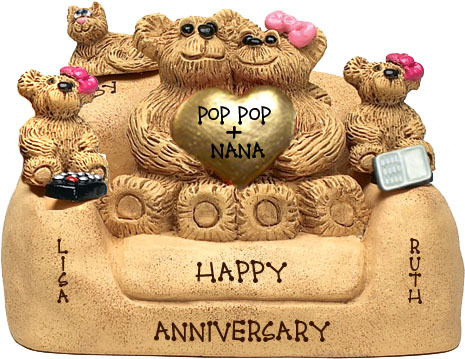 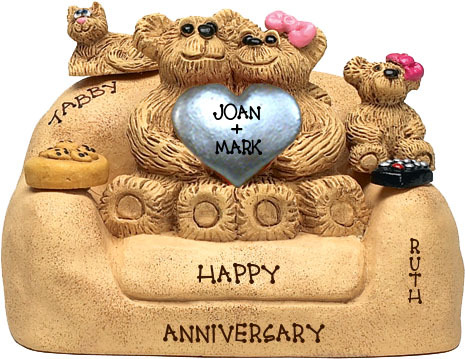 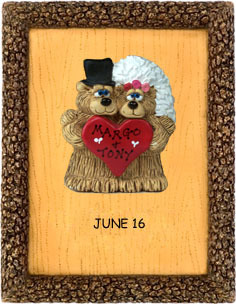 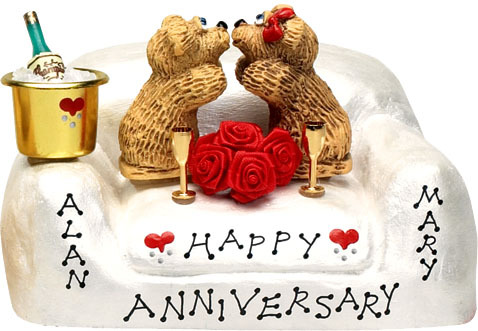 Personalized Bears in Custom Chairs, the Beary Best 51st Anniversary Gifts for the Family Celebration! 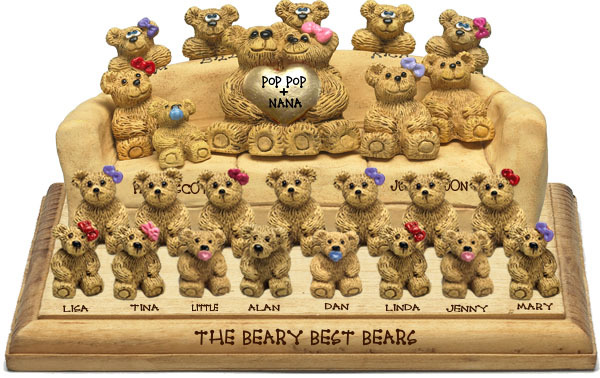 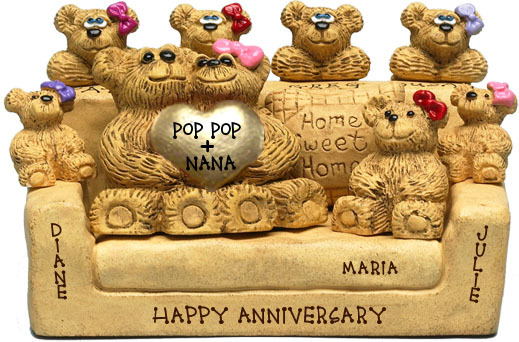 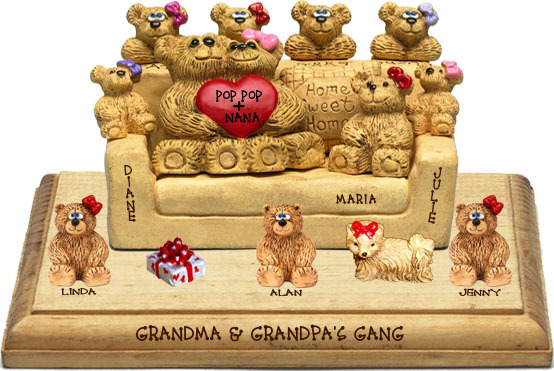 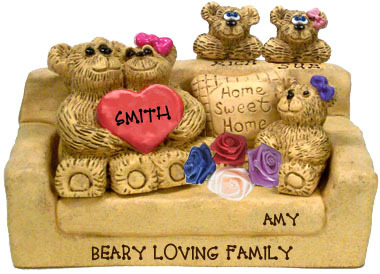 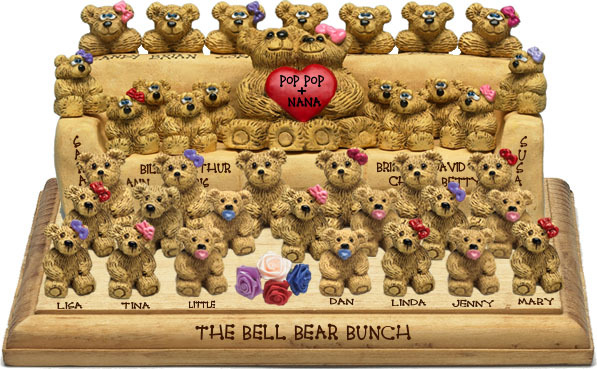 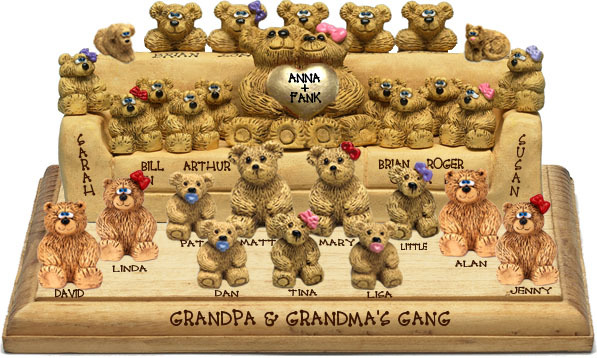 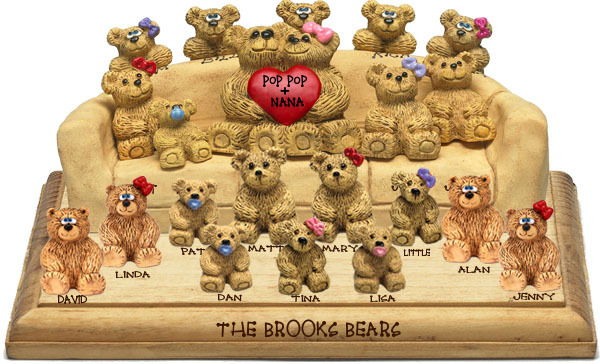 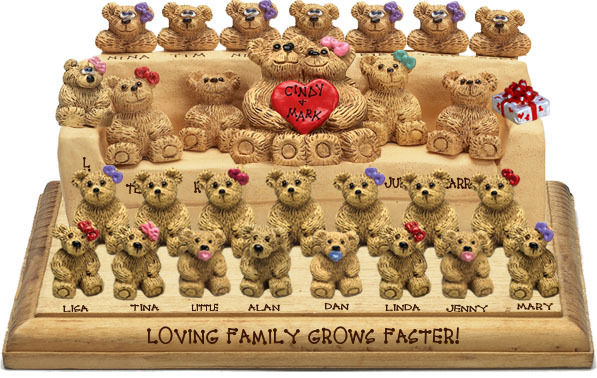 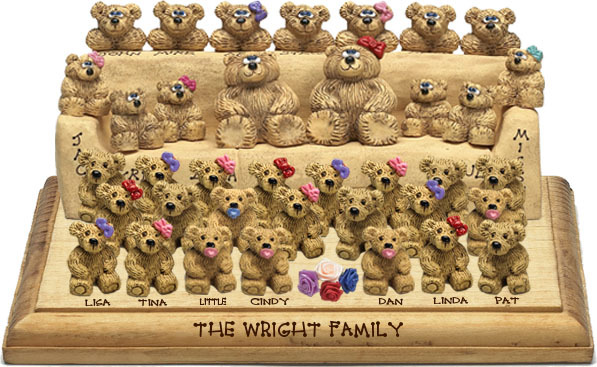 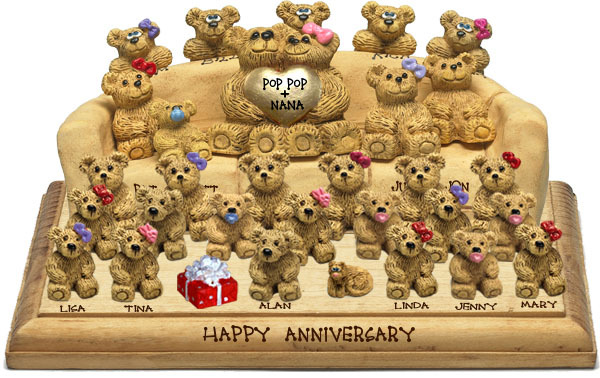 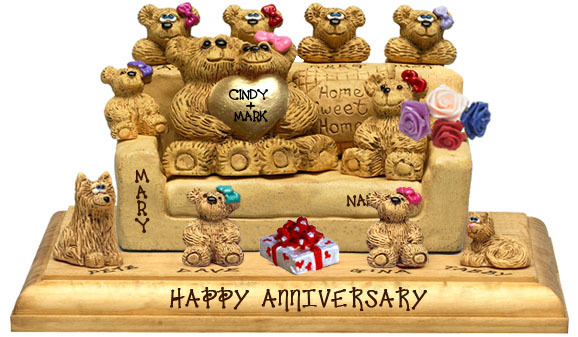 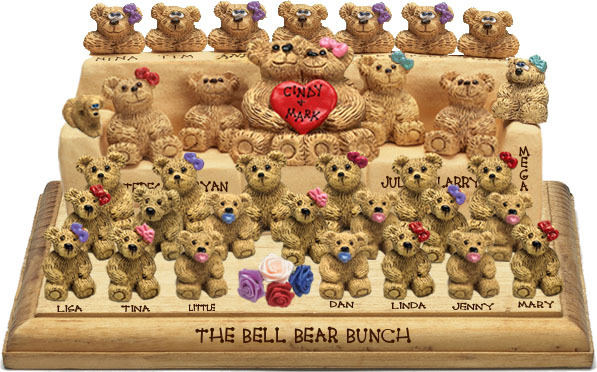 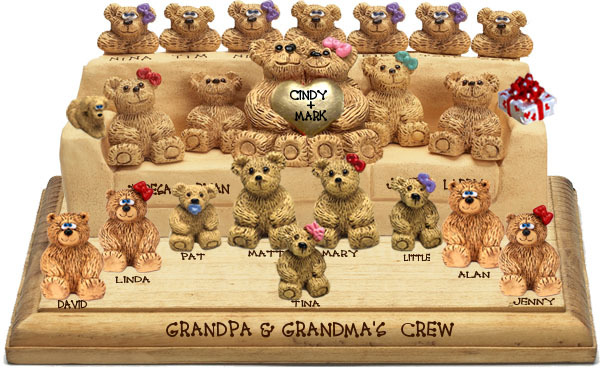 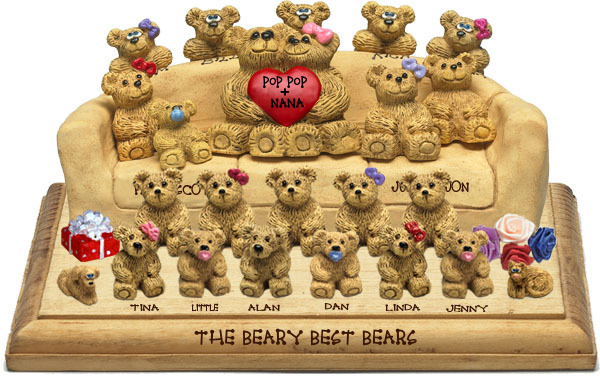 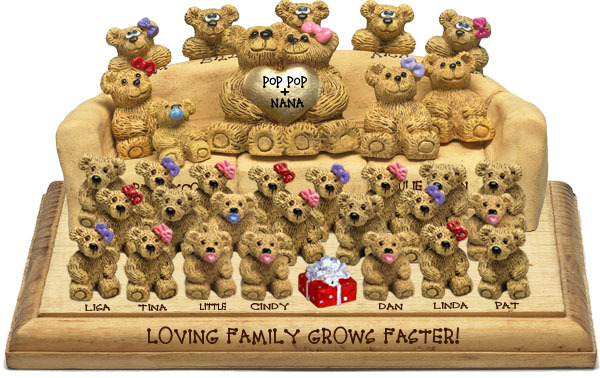 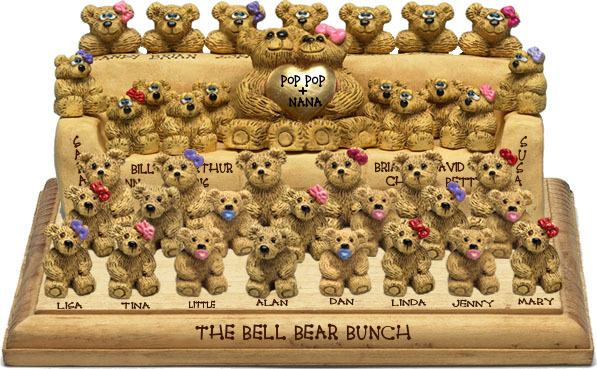 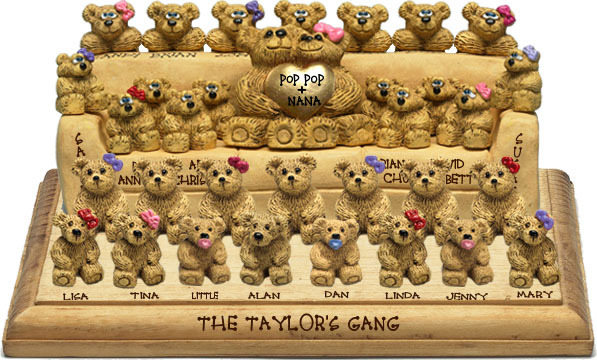 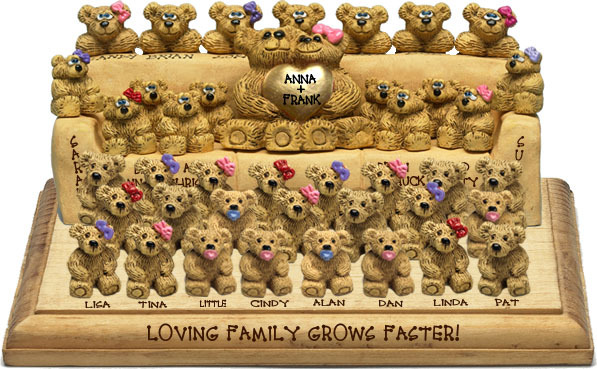 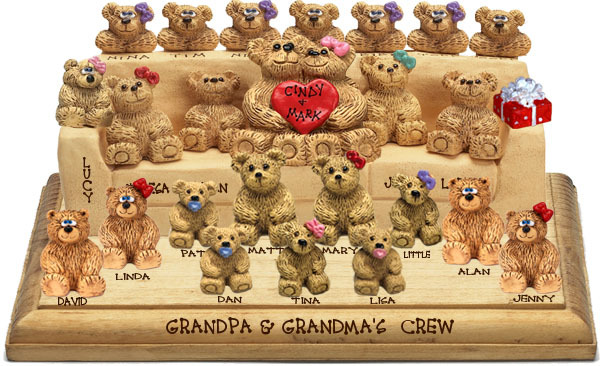 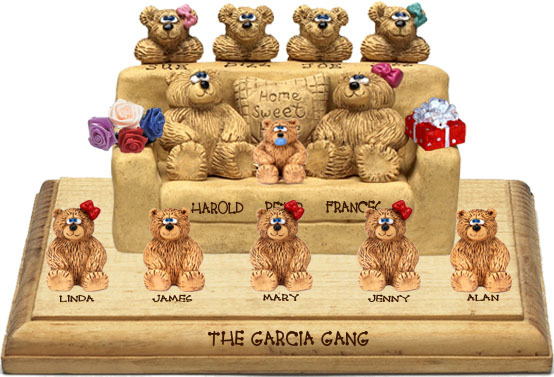 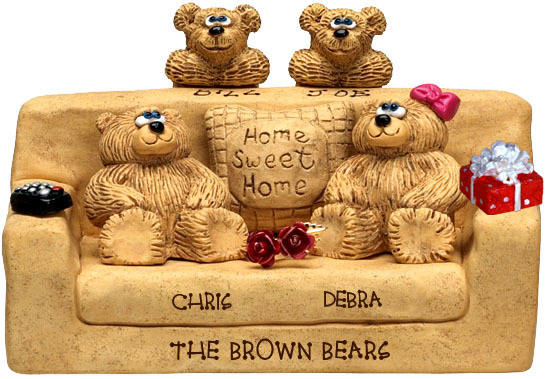 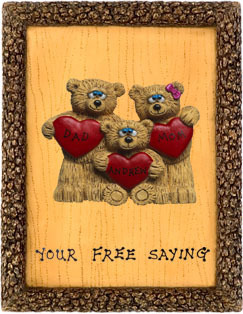 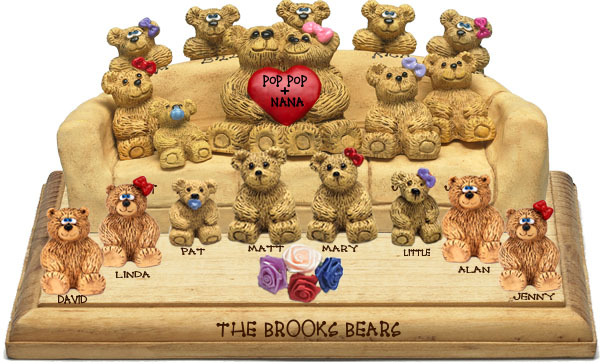 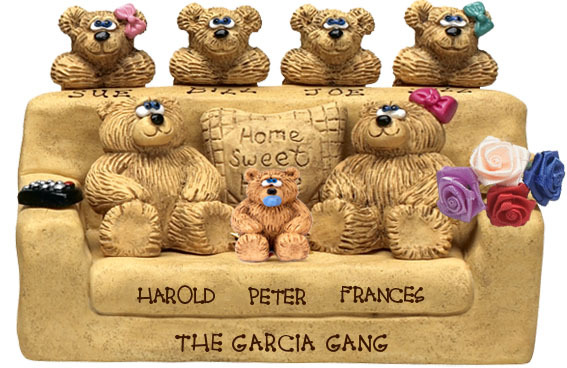 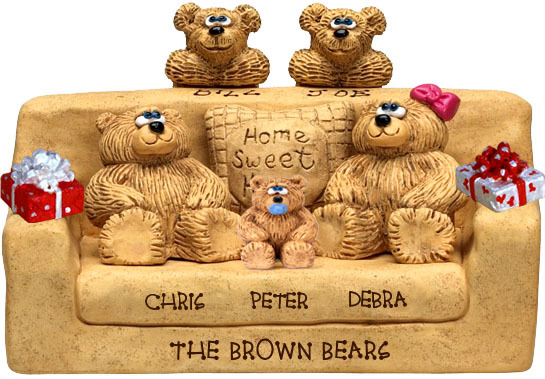 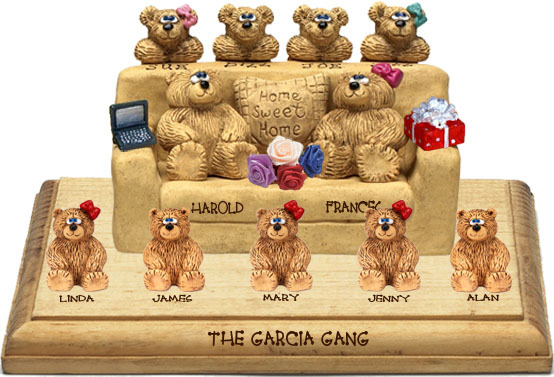 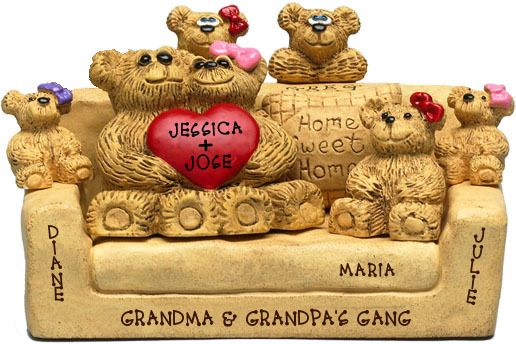 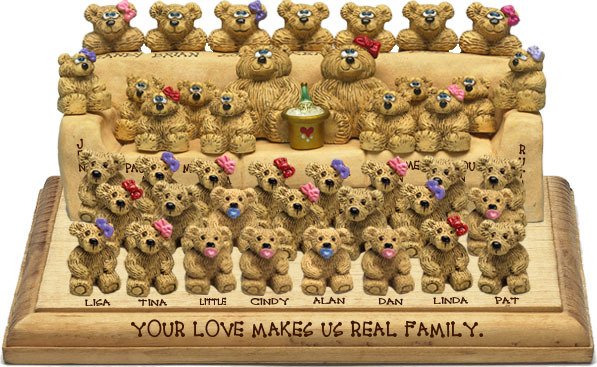 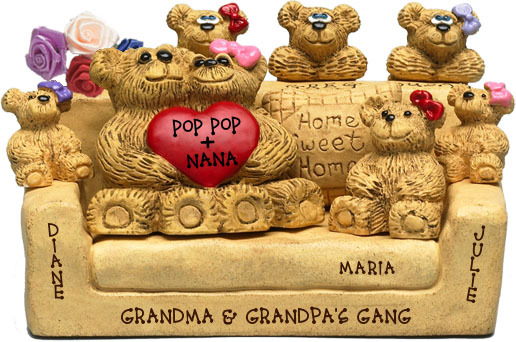 To create a heartfelt unforgettable keepsake, surround the parents with all kid bears in a chair or on a plaque, just as the family always stick together with the couple in the center for 51 years. 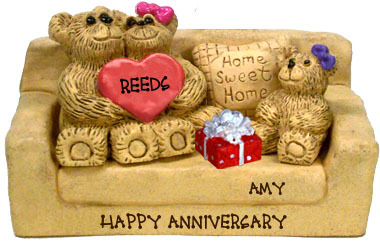 Your sentiment and appreciation will be warmly received on the momentous day and treasured in the hearts for years to come! 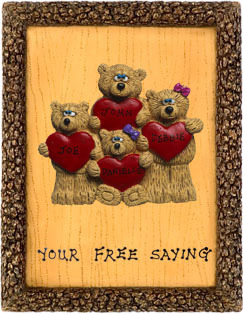 All Names and Saying Personalized Free! 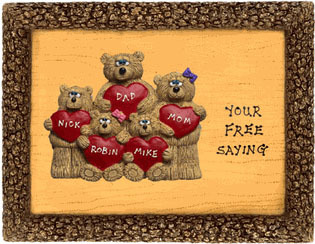 To Start the EZ Design, Choose an Idea to the Right.